Vancouver’s popular and controversial 420 celebration that typically draws tens of thousands of people is just days away, set of course for April 20. 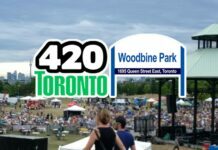 It’s the event’s 25th anniversary this year and the first since cannabis was legalized in Canada last fall. Organizers revealed on April 8 that Cypress Hill would be headlining the April 20 event at Sunset Beach. The band took to Twitter to confirm they would be performing, inviting the public to “come blaze with us. 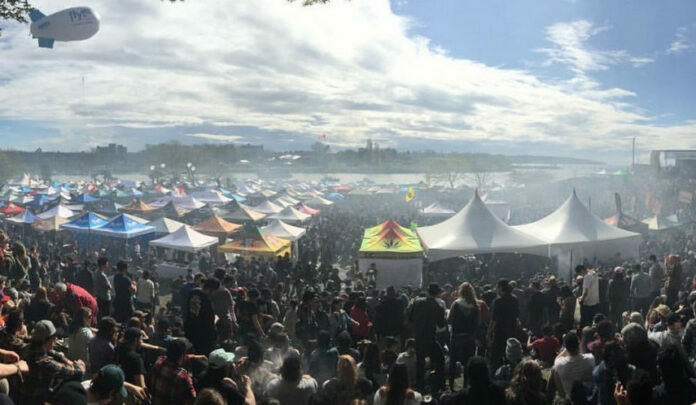 There has, once again, been controversy surrounding the unlicensed event, with the Vancouver parks board arguing the event is no longer a protest, especially given a major headliner is on board. Organizers insist they follow all the rules around using park space other than the anti-smoking bylaw, and say they pay fees associated with using the space except for the policing bill. “We are the only unlicensed protest in the city to pay of those costs,” he adds. A protest is an act of civil disobedience designed to challenge existing rules, draw public attention to an issue, and create social and political change. In all those regards, 4/20 is a very successful protest. Larsen argues that the “successful protest” is needed now more than ever. “Despite legalization, there are still many problems with how cannabis users are treated,” he told BotaniQ Magazine. 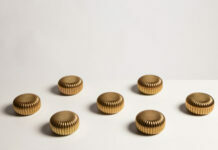 “Municipal, provincial and federal laws contain harsh penalties and overly restrictive control, especially when compared with alcohol. In an interview with the Vancouver Sun, Parks Board Commissioner Tricia Barker predicted this would be the protest’s final year. She said the provincial Community Safety Unit that is tasked with shutting down illegal pot sales, as well as other enforcement bodies, will be more active in 2020. Last year an estimated 40,000 people attended the event. 9 more days until @420VancouverOfficial!